The Library is running a trial of BrowZine until 18th January. BrowZine is a new application that allows you to browse, read and follow thousands of the library’s scholarly journals (see list of publishers at http://support.thirdiron.com/knowledgebase/articles/132654-what-publishers-do-you-support) either from your desktop/laptop or via an app for your Android and iOS mobile devices. Articles found in BrowZine can easily be synced up with Zotero, Mendeley, Endnote, Evernote, Dropbox or other services to help keep all of your information together in one place. To learn more and start using BrowZine on your mobile device, visit http://thirdiron.com/download/. Getting started is easy! From your Android or iOS device, find BrowZine in the Apple App, Google Play or Amazon App store and download it for free. When initially launching BrowZine, select University of Edinburgh from the drop down list. Enter your EASE login. Start exploring BrowZine! If you would like to access the Desktop/Laptop option on or off campus, please go to http://www.ezproxy.is.ed.ac.uk/login?url=http://browzine.com/libraries/665/ and sign in with your EASE login (please note MyBookshelf and Reading List option is not available yet for the Desktop version). We are interested to know what you think of BrowZine as an alternative way of accessing our e-journal A-Z list as your comments influence purchase decisions so please do fill out our feedback form. This entry was posted in Trials and tagged BrowZine, current awareness, e-journals A-Z list on October 23, 2015 by eresources. We are trialling the following 3 databases until the 31st October. Access the databases via DiscoverEd or the trials webpage. Chatham House Online Archive contains the research, publications, speeches and archives of the leading international affairs think tank, The Royal Institute of International Affairs, Chatham House, London. High level analysis and research on almost 100 years of global events and issues. Includes ‘behind the doors’ insight into the real movers and shakers, influencers and deal brokers. For researchers of international affairs, economics, law, and business, diplomacy, security and terrorism, environment, development, war and peace studies. Crime, Punishment, and Popular Culture, 1790-1920 presents a broad history of crime in the long 19th century derived from French, German, Spanish, Australian, British and U.S. sources. The collection includes trial transcripts, court proceedings, police and forensic documents, photographs, true crime literature and detective novels, and newspaper accounts. This archive appeals to scholars in the fields of history, literature, law and criminal justice, as well as other fields. State Papers Online is an on-going programme digitising State Papers or government documents. By linking the original manuscripts to their calendar or catalogue entries, SPO is essential for all early modern research and teaching. This entry was posted in Trials and tagged Chatham House Online Archive, Crime Punishment and Popular Culture, databases, Gale Cengage, State Papers Online on October 22, 2015 by eresources. We have trial access to Pishu – China Economy, Public Policy, and Security Database until 13th November. This resource is listed on our trials webpage and DiscoverEd. Pishu refers to official white paper, blue paper or green paper policy documents in China. They offer candid, in-depth policy recommendations on topics including climate change, social responsibility, the economy, energy conservation, food/drug safety, health care, human rights, international development, and rule of law, regional security, and women’s rights. The database contains the full text of over 1,000 such books in Chinese and are full-text searchable. This entry was posted in Trials and tagged China Economy Public Policy and Security Database, database, e-books, Pishu on October 21, 2015 by eresources. We have trial access to all Oxford Bibliographies until 7th November. Oxford Bibliographies provides access to exclusive, authoritative research guides. Combining the best features of an annotated bibliography and a high-level encyclopedia, this cutting-edge resource guides researchers to the best available scholarship across a wide variety of subjects. We have purchased several modules already. The trial provides access to all the rest. We are interested to know what you think of these e-books as your comments influence purchase decisions so please do fill out our feedback form. This entry was posted in Trials and tagged e-books, Oxford Bibliographies on October 21, 2015 by eresources. We are currently trialling all sections of Nineteenth Century Collections Online (NCCO) until 30th November. Access NCCO via the trials webpage or DiscoverEd. Including papers of British statesmen, Home Office records, ordnance surveys, working class autobiographies, and other unique collections, British Politics and Society is a remarkable resource for scholars looking to explore the political and social history of Britain. Source libraries are the British Library, Oxford University, and The National Archives, Kew. British Politics and Society enables researchers to explore such topics as British domestic and foreign policy, trade unions, Chartism, utopian socialism, public protest, radical movements, the cartographic record, political reform, education, family relationships, religion, leisure and many others. 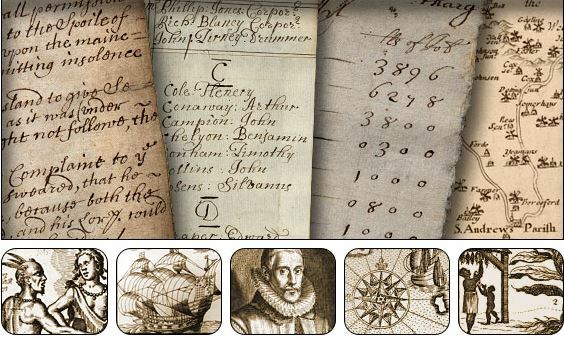 With this archive scholars have instant access to a range of never-before-available primary sources, including manuscripts, maps, drawings, newspapers, periodicals, government correspondence, letters, diaries, photographs, poster, pamphlets and more. 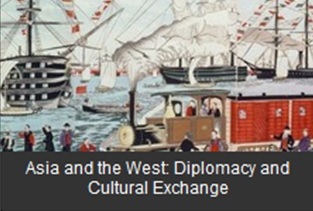 Asia and the West: Diplomacy and Cultural Exchange features primary source collections related to international relations between Asian countries and the West during the 19th century. These invaluable documents—many never before available—include government reports, diplomatic correspondences, periodicals, newspapers, treaties, trade agreements, NGO papers, and more. Documents are sourced from The National Archives, Kew; The National Archives, United States; and other collections. This unmatched resource allows scholars to explore in great detail the history of British and U.S. foreign policy and diplomacy; Asian political, economic, and social affairs; the Philippine Insurrection; the Opium Wars; the Boxer Rebellion; missionary activity in Asia; and many other topics. Asia and the West also includes personal letters and diaries, offering first-hand accounts and revealing the human side of international politics, as well as nautical charts, maps, shipping ledgers, company records, and expedition and survey reports for more than a century of world history. Through a variety of official government documents, political papers of prominent individuals, and newspaper accounts, researchers can trace the development of British strategic imperatives, French and Belgian desire for the expansion of trade and raw materials, and Germany and Italy’s late entrance onto the imperial stage. Europe and Africa: Commerce, Christianity, Civilization, and Conquest covers exploration, military and missionary activities, and economic and political imperialism in the ninetenth century. Documents are sourced from The National Archives, Kew; the U.S. National Archives; the Library of Congress; the National Library of Scotland; and Bodleian Library, University of Oxford. European Literature, 1790-1840: The Corvey Collection includes the full-text of more than 9,500 English, French and German titles. The collection is sourced from the remarkable library of Victor Amadeus, whose Castle Corvey collection was one of the most spectacular discoveries of the late 1970s. The Corvey Collection comprises one of the most important archives of Romantic era writing in existence anywhere—including fiction, short prose, dramatic works, poetry and more—with a focus on especially difficult-to-find works by lesser-known, historically neglected writers. As a resource for Romantic literature and historical studies, the Corvey Collection is unmatched. It provides a wealth of fully searchable content with digital research tools that enable scholars to uncover new relationships among authors and works. The inclusion of texts from neglected writers further provides scholars with new topics for exploration. With the European Literature, 1790-1840: The Corvey Collection, scholars can research a range of topics, including Romantic literary genres; the mutual influences of British, French and German Romanticism; literary culture; women writers; the canon; Romantic aesthetics; and many other subjects. 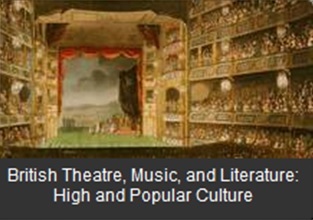 British Theatre, Music, and Literature: High and Popular Culture features a wide range of primary sources related to the arts in the long nineteenth century, from playbills and scripts to operas and complete scores. These rare documents, many of them never before available, are sourced from the British Library and other institutions. Curation is by experts in British arts history. Covering more than a century, and encompassing both the Georgian and Victorian theatre, British Theatre, Music, and Literature is without equal as a resource. The collection provides a detailed look at the state of the British art world and includes manuscripts and musical compositions as well as documents such as personal letters, annotated programs, meeting minutes, and financial records. It offers scholars an unmatched glimpse into the inner workings of the world of the arts in Britain. 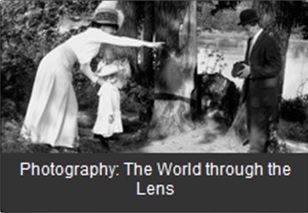 Photography: The World through the Lens Includes images from Britain, Europe, Asia, Africa, and the Americas, Photography: The World through the Lens assembles collections of photographs, photograph albums, photographically illustrated books and texts on the early history of photography from libraries and archives from across the globe. Science, Technology, and Medicine, 1780-1925 features more than 3.5 million pages of journals, books, reports, and personal documents that explore the rapid acceleration of scientific, technical, and medical knowledge during the nineteenth century. Source libraries include the Huntington Library, the Burndy Library, the Library of Congress, and the Academy of Natural Sciences of Drexel University. Including a wide array of primary source documents—serials, books, manuscripts, diaries, reports, and visuals—Women: Transnational Networks focuses on issues at the intersection of gender and class from the late-eighteenth century to the era of suffrage in the early-twentieth century, all through a transnational perspective. Source libraries include the Library of Congress, the London School of Economics and Political Science Library, and the Library of the Society of Friends. This entry was posted in Trials and tagged 1790-1840: The Corvey Collection, and Conquest, Asia and the West: Diplomacy and Cultural Exchange, British Politics and Society, British Theatre Music and Literature: High and Popular Culture, Christianity, Civilization, databases, Europe and Africa: Commerce, European Literature, NCCO, Nineteenth Century Collections Online, Photography: The World through the Lens, Science Technology and Medicine: 1780-1925, Women: Transnational Networks on October 21, 2015 by eresources. A further 118 e-books published by Cambridge University Press have been added to DiscoverEd. Subject areas cover most disciplines. See the list here – tab 1 contains the monographs and tab 2 contains the course books. This entry was posted in New e-resources, Updates and tagged Cambridge University Press, e-books on October 20, 2015 by eresources. We have trial access to Duke University’s Expanded Collection of 44 e-journals (listed below) until 7th January 2016. Subject area Humanities & Social Sciences. These titles have been added to DiscoverEd and a listing is also available on the Trials webpage. We are interested to know what you think of these e-journals as your comments influence purchase decisions so please do fill out our feedback form. This entry was posted in Trials and tagged Duke University Press, e-journals, humanities and social sciences on October 20, 2015 by eresources. The Jstor website is experiencing intermittent technical issues with authentication. See first screenshot below – you will be asked to login. Please try again later as the authentication issues are intermittent. The screenshot below is how Jstor should appear on campus – note the University logo. This entry was posted in Access issues and tagged database, e-journals, JSTOR on October 13, 2015 by eresources. We are trialling the following 3 collections until the 30th November. Access the trials via DiscoverEd or our trials webpage. 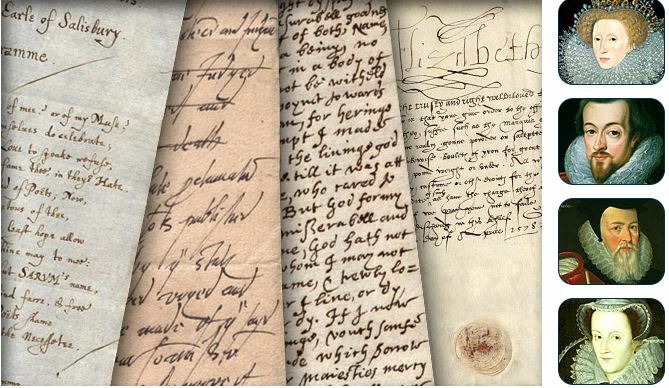 The Cecil Papers is a collection of documents, principally from the reigns of Elizabethan I and James I/VI, privately held by the Gascoyne-Cecil family at Hatfield House in Hertfordshire. The Cecil Papers contains nearly 30,000 documents gathered by William Cecil (1521-98), Lord Burghley and his son Robert Cecil (1563-1612), First Earl of Salisbury. Occupying some of the highest offices of state in the land (both men were Secretary of State to Elizabeth I and Robert Cecil also served her successor, James), these two men were at the heart of events during one of the most dynamic periods in Western history. Further details can be found at http://media2.proquest.com/documents/cecil_papers.pdf. Colonial State Papers offers insight into the colonial history of North America and the West Indies. It includes the National Archives collection CO 1– papers that were presented to the Privy Council and the Board of Trade during 1574-1757. More than 7,000 hand-written documents and more than 45,000 bibliographic records give fascinating insight into British trade, history and overseas expansion between the 16th and 18th centuries. Further details can be found at http://media2.proquest.com/documents/csp.pdf. Trench Journals and Unit Magazines of the First World War is an archival research resource containing a vast collection of rare magazines by and for servicemen and women of all nations during the First World War. Over 1,500 periodicals written and illustrated by serving members of the armed forces and associated welfare organisations published between 1914 and the end of 1919 are included. Magazines have been scanned cover-to-cover, in full colour or greyscale, and with granular indexing of all articles and specialist indexing of Publications. Further details can be found at http://media2.proquest.com/documents/trench.pdf. This entry was posted in Trials and tagged Cecil Papers, Colonial State Papers, databases, e-journals, ProQuest, Trench Journals and Unit Magazines of the First World War on October 12, 2015 by eresources.